In Wyoming, Going Deep To Draw Energy From Coal The United States has lots of coal, but most of it is buried far underground. A new method can extract it, but the environmental costs might prove too high for nearby landowners. Linc Energy has installed 44 monitoring wells at its proposed test site near Wright, Wyo., to establish baseline water quality. The United States is the Saudi Arabia of coal. The only catch is that most coal is buried too deep for conventional mining. In the tradition of fracking pioneers in the oil and gas industries, an Australian company working in Wyoming wants to use an unconventional technique to access that deep coal: burning it underground. The technique is called underground coal gasification, and the company that wants to use it in Wyoming is Linc Energy. With soft music in the background, the company's promotional video explains: "Underground coal gasification — UCG, for short — is a process in which coal is converted into synthesis gas while the coal remains deep underground." Basically it involves drilling holes into coal seams buried as much as a mile underground, and then lighting them on fire and capturing the gases, which can then be converted to fuels like diesel. It's not new technology — it was pioneered in the late 1800s, and tested in the United States during the oil crisis of the 1970s. But outside of the former Soviet Union, it's never been developed commercially. "This technology will open up that 95 percent that surface mining can't get to," says Peter Wold, whose family sold to Linc Energy some of the 180,000 acres of coal it owns in Wyoming. "It creates an opportunity for the United States to be energy independent. The potential here is phenomenal." 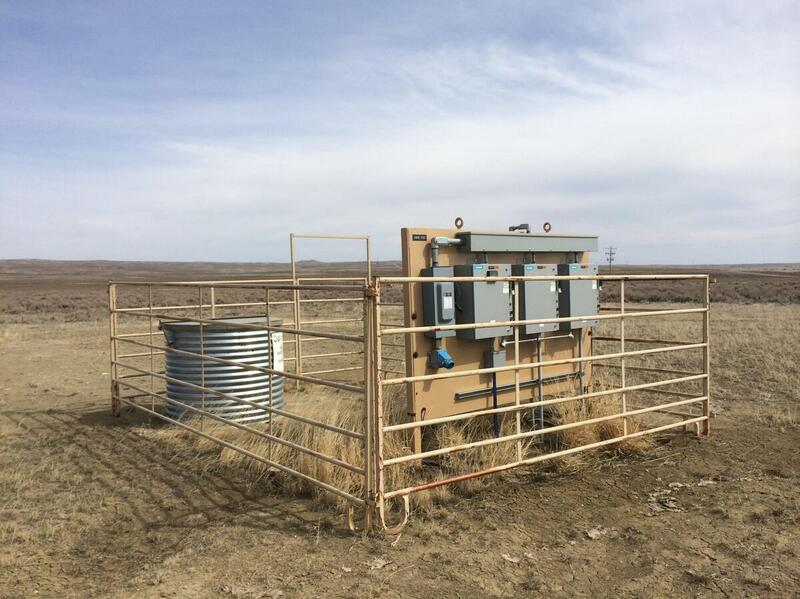 For now, Linc Energy is only proposing a test project in Wyoming, to demonstrate that the process works and is safe. If it's not done right, burning the coal could contaminate groundwater and create sinkholes. UCG Animation from Linc Energy on Vimeo. Linc Energy repeatedly declined to make anyone available for comment, but Nancy Nuttbrock, who directs the state agency that regulates mining, says there's risk with any new technology. "Obviously, the low-hanging fruit is going to require an easier means of extraction," Nuttbrock says. "As we go farther, and we've exhausted those resources that are nearer to the surface, the technology gets trickier." But Nuttbrock says she's convinced Linc Energy can burn Wyoming's coal safely. "We thoroughly investigated every aspect until we were comfortable — comfortable enough to proceed with issuing the license," she says. The state issued that license in November, and the backlash was swift. Nearby landowners felt they'd been kept in the dark about the risks to groundwater. At a public meeting about the project, there was little talk of energy independence. Residents wondered why a foreign company was being allowed to test the technology in Wyoming, and what would happen if things go wrong. David Camp directs research into underground coal gasification at the Lawrence Livermore National Laboratory. "It's fair to say I'm ambivalent about UCG," Camp says. He says there are upsides, including that miners don't have to go underground and that carbon capture is easier than with coal-fired power plants. But he says those need to be weighed against the risks. And, he adds, even extremely complicated drilling technologies — like deepwater drilling and fracking — are easier and more cost-effective than UCG. "I really don't see where underground coal gasification, or really gasification in any kind, plays in the United States right now," Camp says. But not everywhere is as rich in oil and gas as the United States. Camp says regardless of what happens in Wyoming, it's inevitable that the technology will be used elsewhere. "People need energy, and they always want to do whatever is cheapest," he says. "It takes regulations and laws to make dirty sources of energy expensive. So without that, coal is going to be used." UCG test projects are underway or planned in a half-dozen other countries, including Australia. The government there alleges Linc Energy's test project has caused serious environmental harm, although officials haven't released any specifics. As for Wyoming, the Environmental Protection Agency is expected to weigh in on the final permitting later this summer.